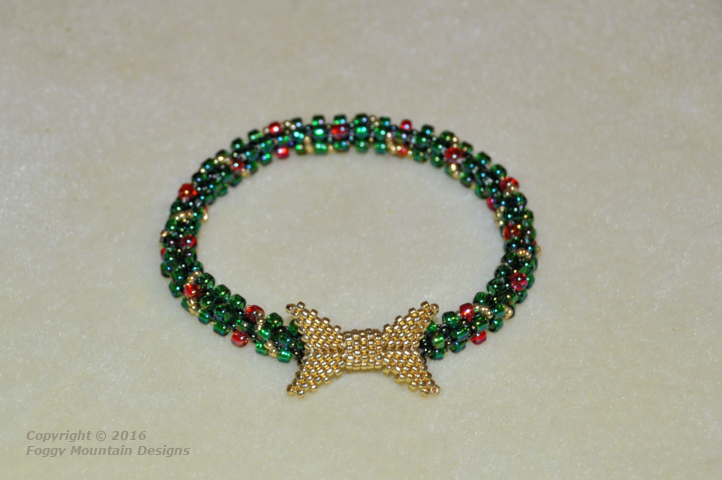 The OTTBS November Blog Challenge was to make something using only (not including findings) seed beads. 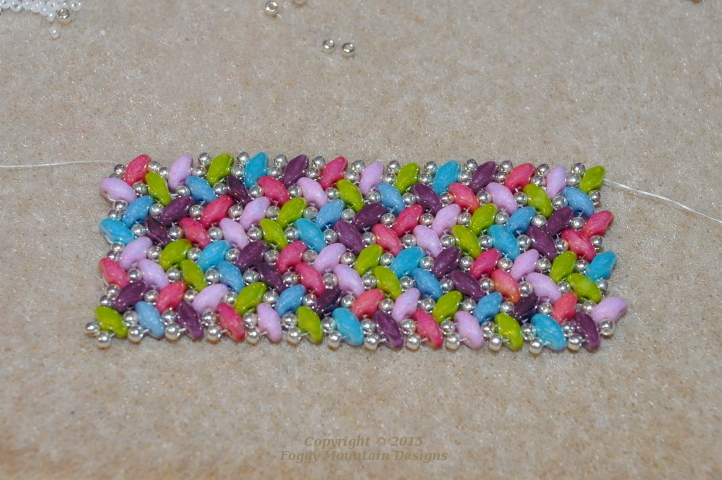 My bracelet is CRAW using 11’s and 8’s and embellished with 15’s. The bow is made from all 15’s (you can see a larger version of the bow here.) It is attached with a split rings and hides the clasp. Update 1 Dec 2016: November Challenge Reveal. Congratulations to Sarah! 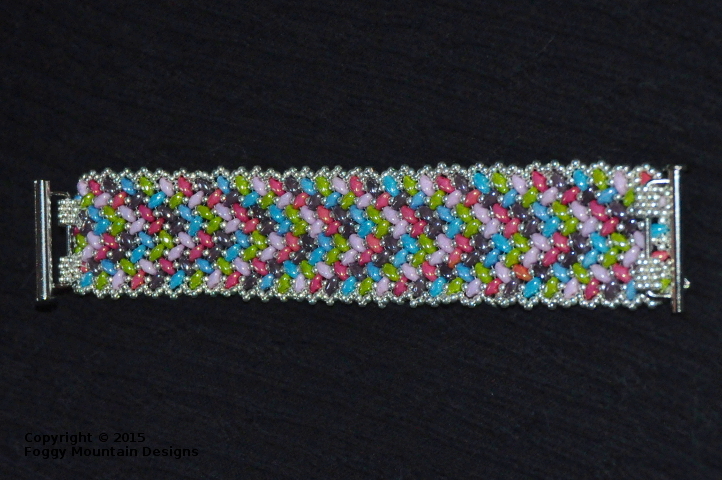 This week’s free pattern is a beaded variation of a needlepoint stitch called Framed Scotch Stitch. It is a repeating pattern worked in 1- and 3- drop and uses 4 colors. When you get to the bottom, start back at the top and work until the desired length. 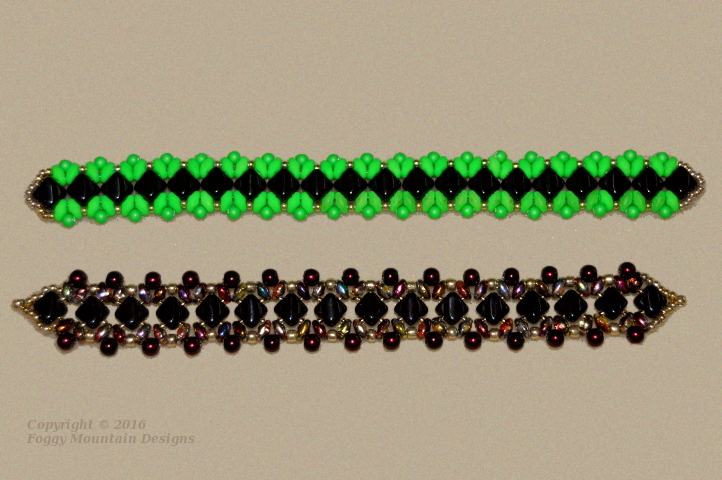 Your choice of colors and clasp. 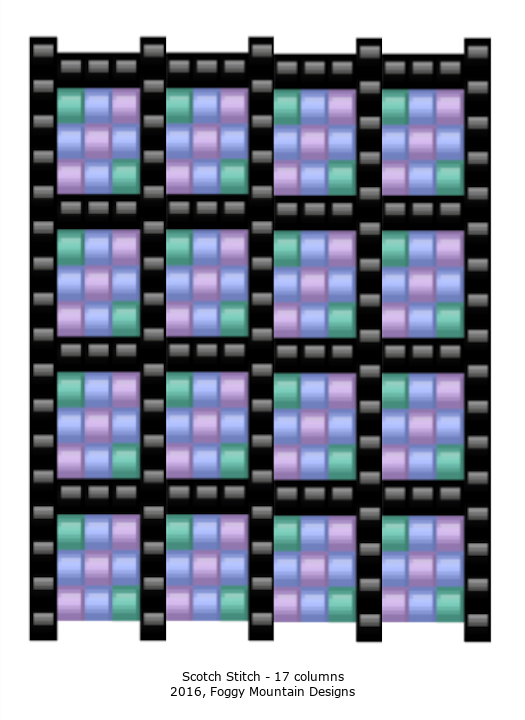 This pattern is 17 columns wide but you can easily modify the width by adding or subtracting 4 columns. Click image to enlarge, then right-click to save to your hard drive. 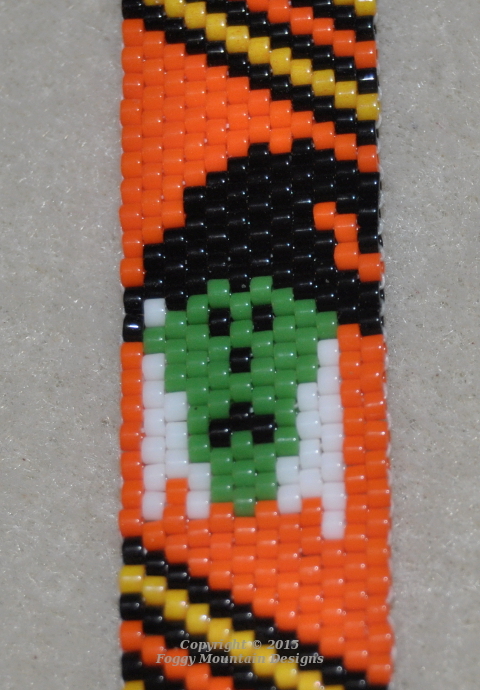 A Halloween bracelet in progress. When it is finished, there will be three of these panels. I just started the second witch, who will have her tongue sticking out. The duos are Beadsmith “Cotton Candy” mix from A.C. Moore. The silver (aluminum) beads are Toho. 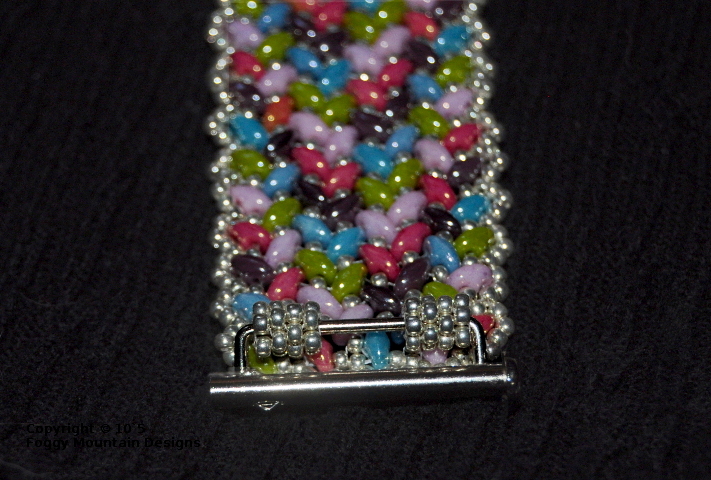 Here is a close-up of how I attached the clasp. 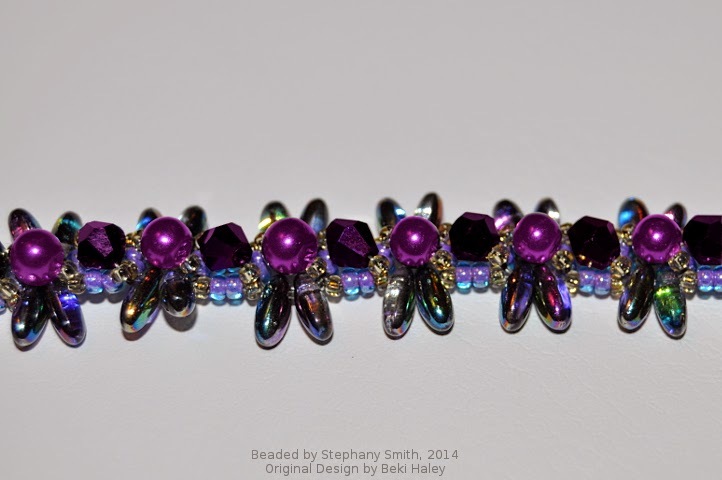 It’s a shame Hobby Lobby stopped carrying these clasps, I love them for peyote stitch bracelets and only have a few left in my stash. I’m still on a Herringbone kick. 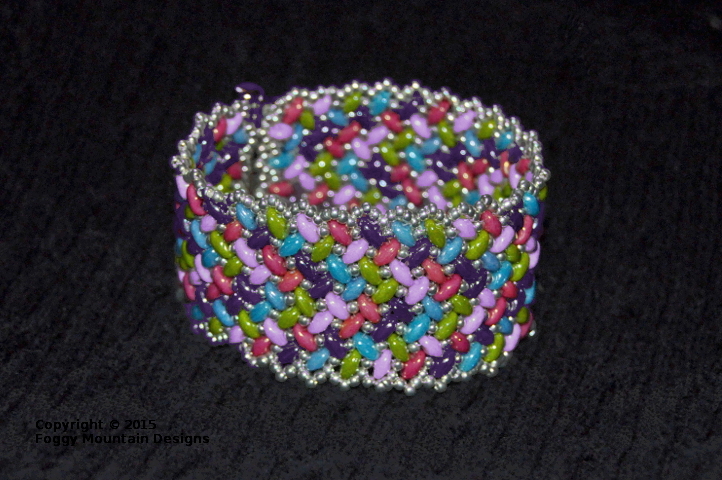 Now I’m working on a cuff with duos. Lela came to visit this week and we’ve been beading (no surprise there!) 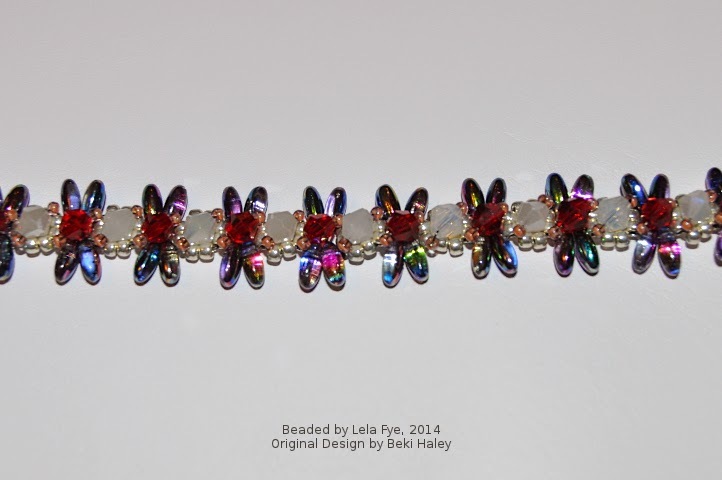 She wanted to learn how to make Beki Haley’s dragonflies bracelet but using the Rizos in place of the daggers. 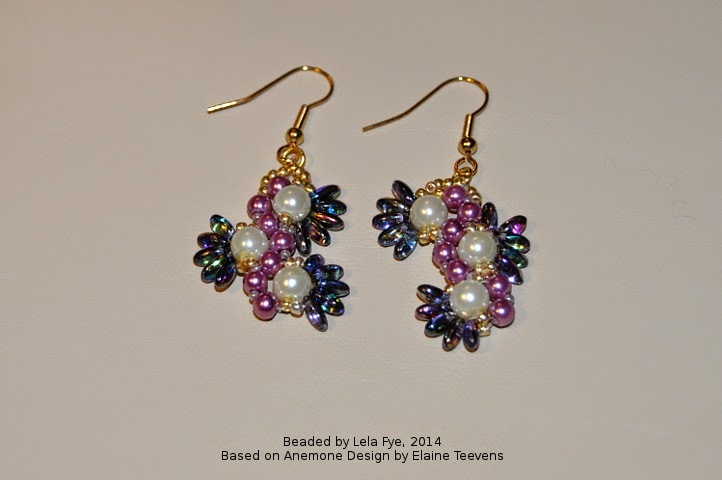 I mixed pearls and crystals. 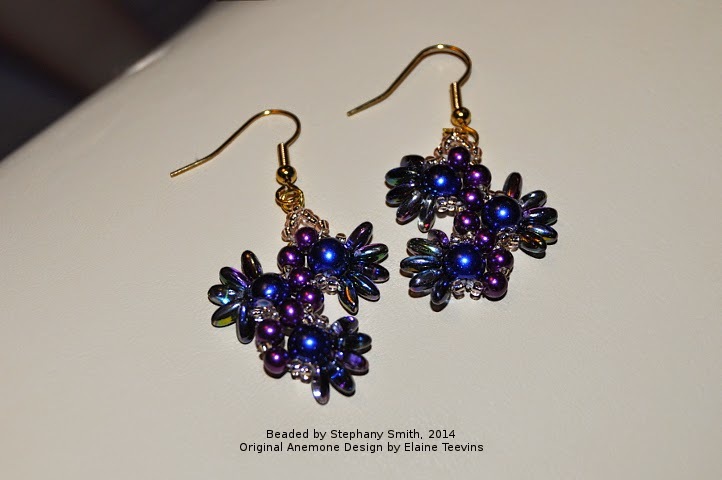 Then we made earrings based on Elaine Teevens’ Anemone bracelet. Lela’s color choices are gorgeous and she did a fantastic job! We both used the same color of Rizos but I went dark with my pearls.